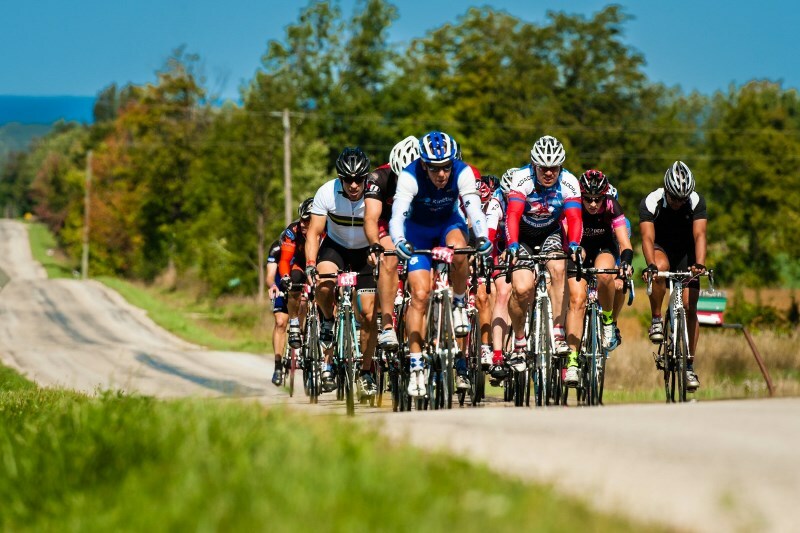 With a start at 8.30am in the morning, the men 19-34 left off for the 155km course with some climbing halfway and a very beautiful but challenging road. 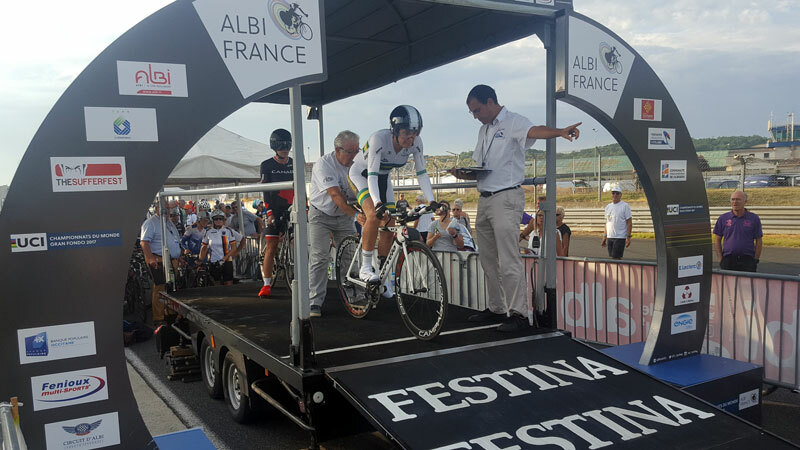 With three kilometers to go, three riders escaped and it was Bjorn De Decker (BEL) outsprinting time trial World Champion Matej Lovse (SLO) for victory. Maxim Pirard (BEL) finished in third. The team relay which is traditionally organized on Friday evening has been a hectic race with position switches and a lot of excitement. 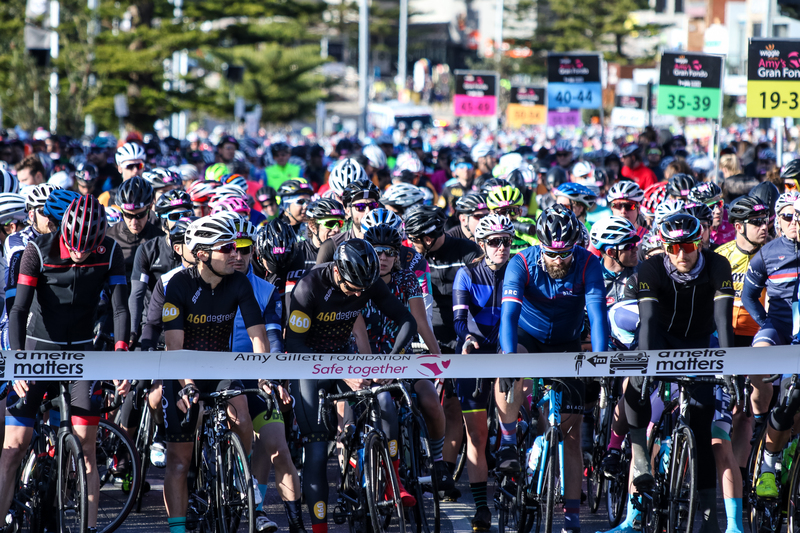 25 teams with 4 members of which at least one female of any age, one male any age, one female/male above 40 and one above 50 compete in an inner city criterium to make a relay each 3 laps. With a start at 8h30, Swiss Janet Ackermann was the first lady to go down from the startramp in the ladies 65+ age group. 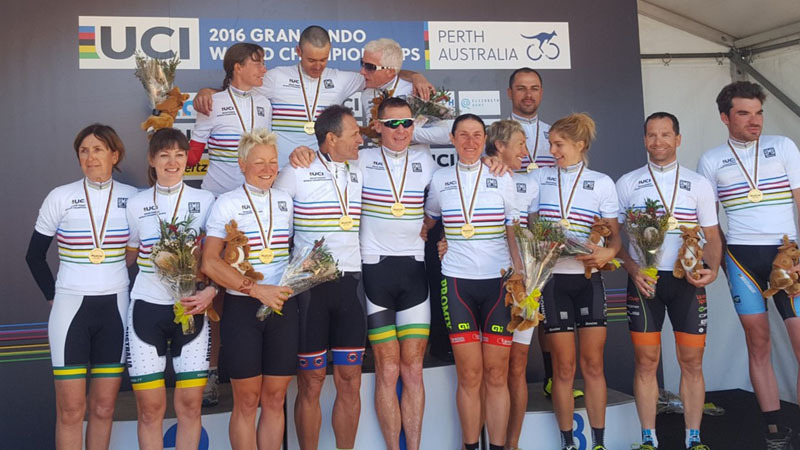 A bit more than half an hour later, Sharon Prutton from New Zealand crowned herself as the new World Champion beating defending champion Gaye Lynn (AUS) and Elizabeth Randall (AUS) to renew her title from 2015. 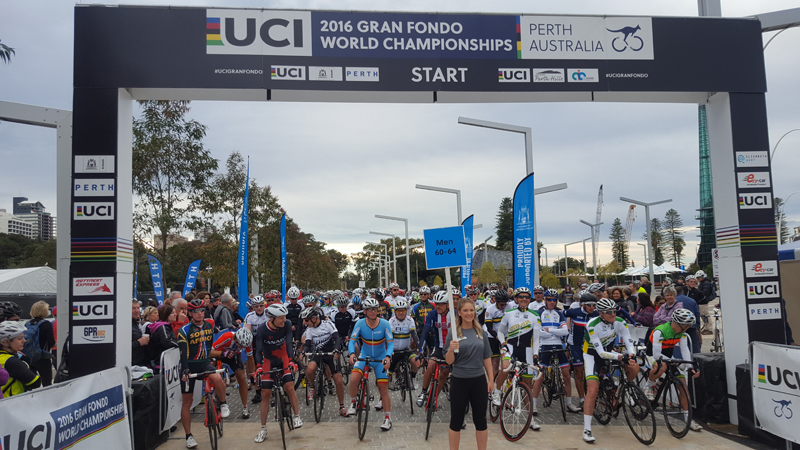 Registrations for the 2017 UCI Gran Fondo World Championships have been closed and a total of 2940 riders have signed up for the time trial on Thursday or the road race on Sunday. 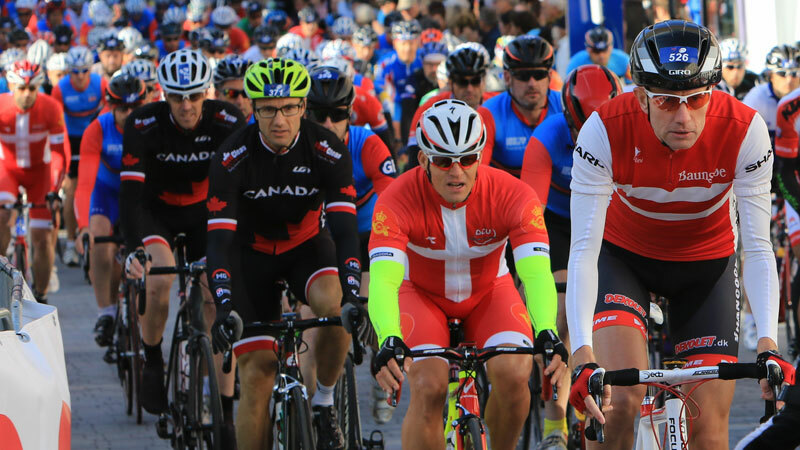 25 teams also registered for the team relay which is now also full. 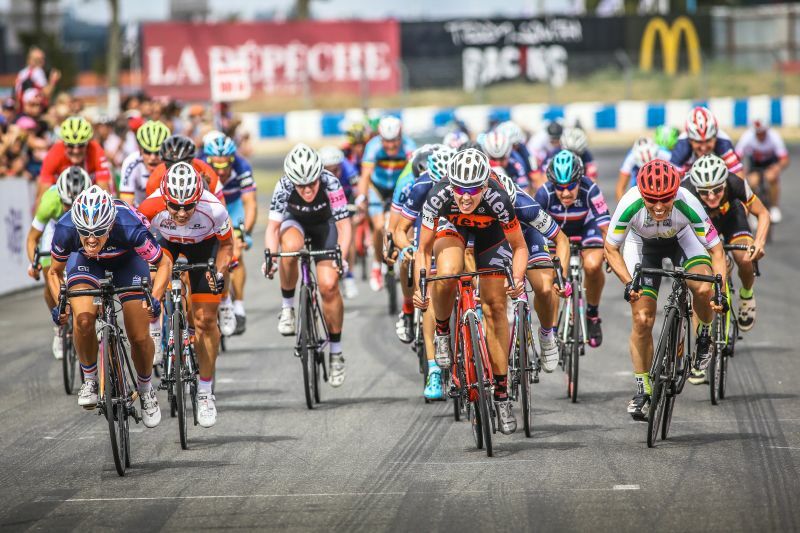 2 years after the very successful World Championships in Denmark, the country received the last qualifier of the season in the city of Holbaek. 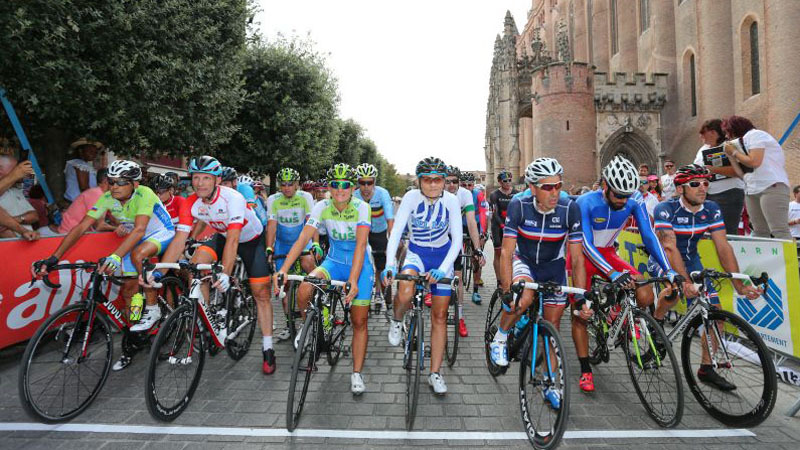 2600 riders have already signed up for the upcoming World Championships in France in two weeks. 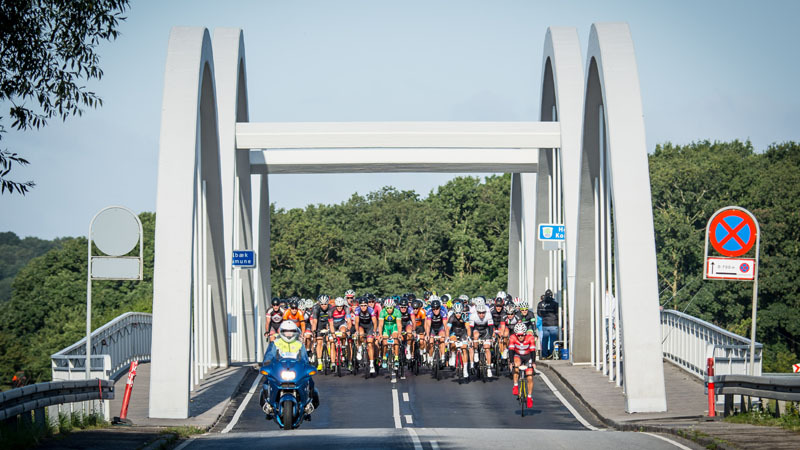 The city of Holbaek in Denmark gives riders this weekend the last chance to qualify themselves for the UCI Gran Fondo World Championships in two weeks in Albi, France.